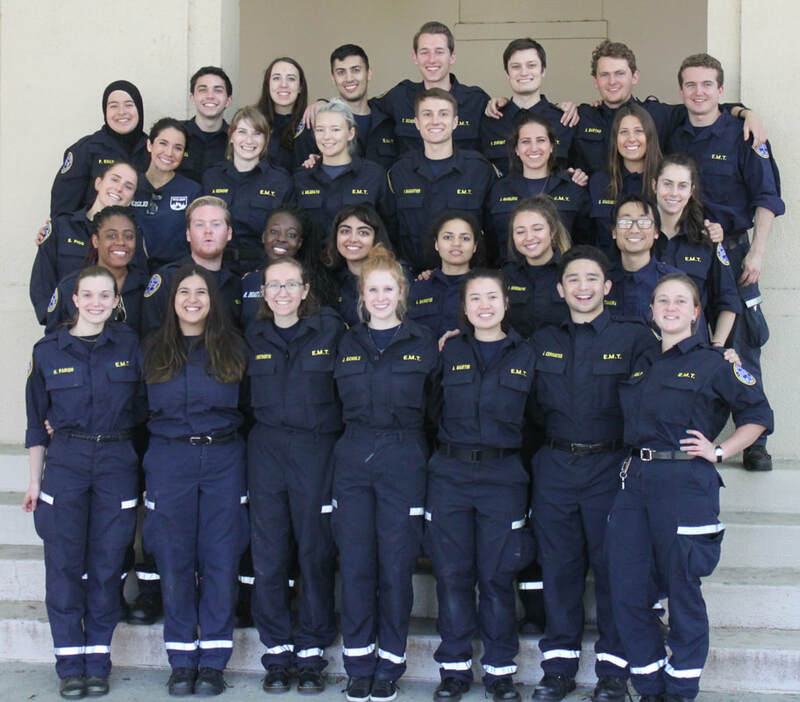 Santa Clara University Emergency Medical Services is a student run and operated medical care organization. We are operated by a volunteer staff of 40 Nationally Certified and State Licensed EMT-Basics. Our program operates under the guidance and licenses of several medical professionals from the Cowell Center who function as our Medical Directors. We work closely with Santa Clara University Campus Safety Services to provide emergency medical care to the University campus from 5 p.m. to 8 a.m. when the health center is closed. Our shifts each night and morning are manned by three or four EMT-B's. We are dispatched to any emergency scenes on campus that require medical personnel by and alongside Campus Safety Services. 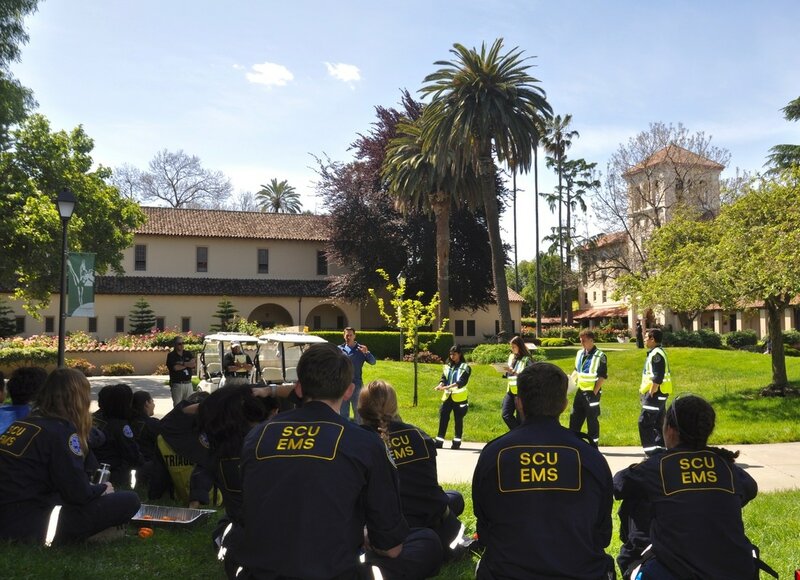 Any student calling the CSS Emergency Phone - (408) 554-4444 - can request medical attention from SCU EMS. Follow us on Facebook and Instagram via the links below to stay up to date on what we are doing!